Indirect taxes are basically taxes that can be passed on to another entity or individual. It is usually imposed on a manufacturer or supplier who then passes on the tax to the consumer. The most common example of indirect tax is the excise tax on cigarettes and alcohol. Value Added Tax (VAT)Ad Valorem TaxThe term “ad valorem” is Latin for “according to value,” which means that it is flexible, and it depends on the assessed value of an asset, product or service. An ad valorem tax is charged by state and municipal governments, and it is based on the assessed value of a property or product. The most common ad valorem tax is also an example of an indirect tax. What many people are not aware of is that practically everyone pays taxes, especially indirect taxes. It is because it is imposed on almost all the products that we consume. Here are some of the types of indirect taxes. Whenever people go to the malls or department stores to shop, they are already about to pay indirect taxes. Goods such as household items, clothing, and other basic commodities are subject to such type of taxes. Upon payment at the counter, the final sale priceCost of Goods Sold (COGS)Cost of Goods Sold (COGS) measures the “direct cost” incurred in the production of any goods or services. It includes material cost, direct labor cost, and direct factory overheads, and is directly proportional to revenue. As revenue increases, more resources are required to produce the goods or service. COGS is often is padded with a sales tax that the store collects and pays to the government. Excise tax is also very common. When a manufacturer buys the raw materials for the company’s products, say tobacco for cigarette companies, he already needs to pay indirect taxes on the items. Though a part of the normal course of business, the manufacturer can pass on the burden to the consumers by selling the cigarettes at a higher price. Ever wonder why imported products are expensive? It is because of customs tax. When a container filled with bananas from another country enters the US, the importer pays indirect tax (customs tax), which he then passes on to the consumers. Yes, buying gasoline for vehicles contains an indirect tax. Let us use the example of VAT to illustrate how an indirect tax is imposed. Say, for example, John goes to the outlet store to buy a refrigerator that’s priced at $500. When he asks the sales representative, he or she will declare the sale price, which is $500, and that is the right answer. However, the refrigerator’s real value is actually lesser than that, but because it’s been added a VAT (usually 10%-20%), the sale price is now $500. If John looks at his receipt, he will see the actual price of the refrigerator before the tax was added. It is the manufacturer of the unit or item who collects the tax from the sale price and pays it to the government. Unlike direct taxes that usually exempt the poor, indirect taxes allows them to actually contribute their part in collecting funds for a country or state. Indirect taxes, as they are incorporated in the sale price of an item, are not very obvious. People don’t feel they are being taxed simply because the tax comes in small values. Plus, add the fact that they are not indicated in the price tag but can only be seen in the purchase receiptSource DocumentsEvery time a business is involved in a financial transaction, a paper trail is generated. This paper trail is referred to in accounting as source documents. Whether checks are written to be paid out, sales are made to generate receipts, billing invoices are sent by suppliers, work hours are recorded on an employee’s time sheet – all the respective documents are source documents.. Also, they can be avoided by not buying the goods. Unlike direct taxes where documents need to be accomplished and filing is required, indirect taxes are paid the moment a consumer buys a product. The tax is collected by the supplier and is paid to the government. Alcohol and cigarettes are being taxed, that’s why their prices go up. By taxing such products, people are turned off by their price, thereby saving them from consuming harmful items. Indirect taxes and direct taxes differ in many ways, but the most common is how they are paid. 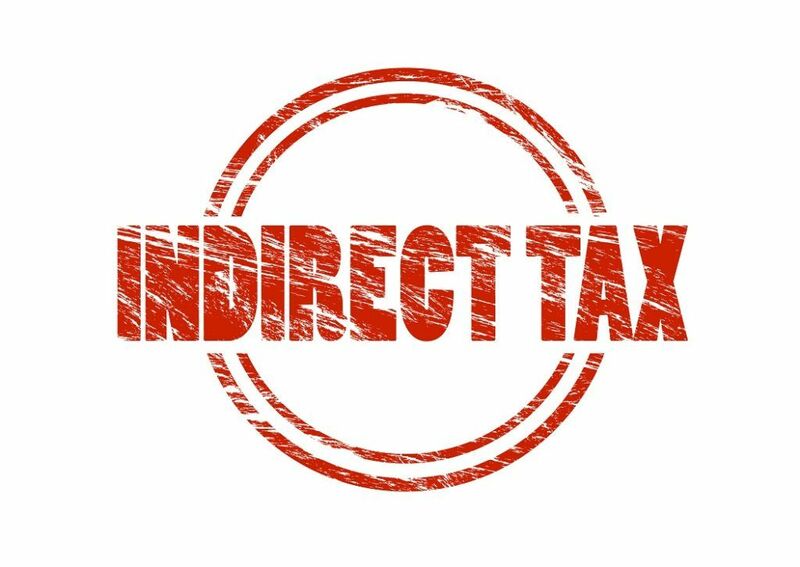 From the name itself, direct tax is paid directly to the government while the indirect tax is paid indirectly. It means that though it is imposed on a particular company or supplier, it can pass the tax on to its consumers, ultimately transferring the burden to the latter. Direct taxes, on the one hand, are taken from an individual’s earningsRemunerationRemuneration is any type of compensation or payment that an individual or employee receives as payment for their services or the work that they do for an organization or company. It includes whatever base salary an employee receives, along with other types of payment that accrue during the course of their work, which while indirect taxes are imposed on goods that consumers buy. Furthermore, direct taxes are calculated based on the paying capacity of the individual. Indirect taxes, on the other, do not look at the consumer’s ability to pay but is the same for everyone who buys the goods or services. Examples of indirect taxes are excise tax, VAT, and service tax. Examples of direct taxes are income tax, personal property tax, real property tax, and corporate tax.